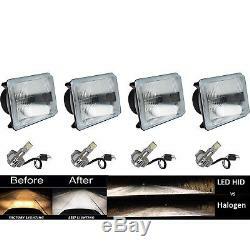 4X6 Stock Glass Lens / Metal Headlight 6000k 6k LED HID Light Bulb Headlamp Set. 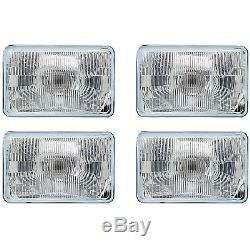 OCTANE LIGHTING - 4"x6" Stock Style H4 Headlights w/ LED Bulbs - Set of 4. THESE ARE H4 CONVERSION HEADLIGHTS WITH A STOCK STYLE GLASS LENS AND METAL HOUSING! 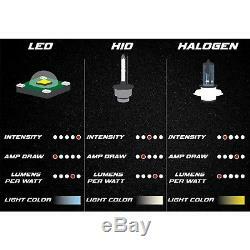 INCLUDES (4) HIGH INTENSITY LED H4 XENON WHITE LIGHT BULBS! 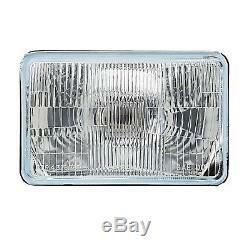 4X6 INCH SQUARE HEADLIGHT - SET OF 4. STOCK STYLE GLASS LENS / METAL BACKSIDE. FITS STOCK BUCKETS WITHOUT MODIFICATION. LOW BEAM AND HIGH BEAM. BRIGHTER AND WHITER THAN STOCK LIGHTS. BULBS ARE REMOVABLE AND REPLACEABLE. 6500k WHITE LED LIGHT BULBS. LOW AND HIGH BEAM FUNCTION. PLUGS INTO FACTORY WIRING PLUGS. 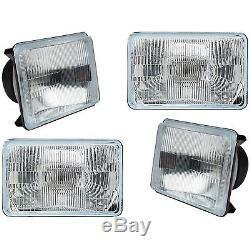 THIS LISTING IS FOR A NEW SET OF 4 - 4x6 STOCK STYLE GLASS LENS / METAL BACKSIDE H4 CONVERSION HEADLIGHTS WITH WHITE LED LIGHT BULBS. 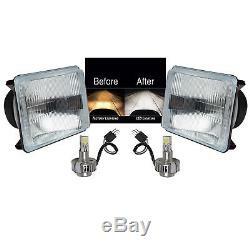 THIS SET INCLUDES 2 HIGH BEAM & 2 HIGH / LOW BEAM HEADLIGHTS. THESE HAVE THE ORIGINAL SHAPED PRONGS ON THE BACK SO THEY WILL PLUG RIGHT INTO YOUR ORIGINAL WIRING HARNESS PLUGS. 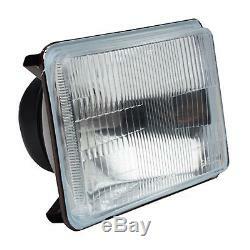 THESE ARE BRIGHTER AND WHITER THAN THE STOCK STYLE INCANDESCENT SEALED BEAM HEADLIGHTS. IN RARE CIRCUMSTANCES, WIRING MODIFICATION MAY BE REQUIRED. 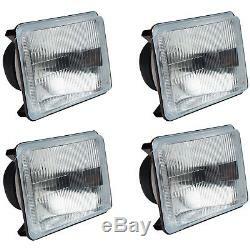 THESE ARE FOR ANY CAR OR TRUCK THAT HAS 4 SQUARE 4x6 HEADLIGHTS. Octane Lighting GEN 3 All-In-One H4 LED Headlight Bulbs: 2,500 Lumen Bulbs. 2,500 LUMENS PER BULB! The LED conversion kit to rival HID power is finally here! 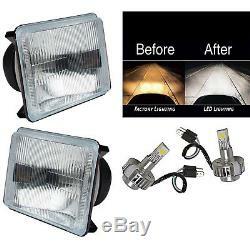 The Octane Lighting Gen 3 LED conversion kits come in all different headlight and fog light bulb styles. Not only are the new GEN 3 LED conversion kits as bright as an HID system, but the new design from Octane Lighting, does not require a relay or harness or special drivers. The GEN 3 LED conversion kits from Octane Lighting have the driver built in to the bulb, which means there are no external parts to mount or plug in, just replace your old halogen bulbs with the new ones and plug them in like the originals. The new GEN 3 LED conversion kits from Octane Lighting are the brightest on the market! 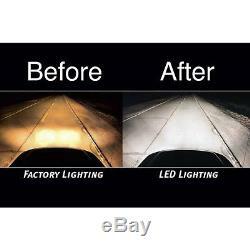 Each dual beam LED bulb produces 2,000 Lumens of light and draws 18 watts of energy on the low beam setting; but produces 2,500 Lumens of light and draws 24 watts of energy on the high beam setting. LED LIGHT BULB Specifications and Features. 2,000 Lumens Low Beam / 2,500 Lumens High Beam Light Output Per Bulb. 360 Degree Light Beam Angle. 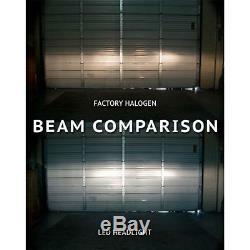 18 Watts Low Beam / 24 Watts High Beam Energy Usage Per Bulb. LED Light Color: 6,500K. Waterproof Ball-Bearing Fan for cooling. No Ballast or Driver Required: Newest Technology. LED Protection Circuit to protect from reverse polarity, low voltage or high voltage spikes. Smart and Efficient Cooling System uses Built-In Cooling Fan. Greater Visibility - 3 times brighter than factory halogen bulbs. High luminous efficacy Flux: 2,500/2,000lm. High quality Aluminum heat sink ensures proper temperature regulation. Lower Power Consumption than Halogen bulb. Easy installation, Plug and Play, No modification required. No Splicing of harnesses required for LED bulbs. Uses 75% less power than Halogen or HID bulbs. 3 times brighter than stock halogen bulbs. Dramatically improves visibility at night. INTERCHANGE: H4656 / H4651 / 4651 / 4652. THESE ARE GLASS AND WE WILL TAKE EXTRA CARE IN PACKAGING. Mailing Address: Octane Lighting, Inc. 675 Cochran St Simi Valley, CA 93065. To the right of the item there's a drop down menu with a "return this item" option. Everything you see listed online is in stock and ships directly from our warehouse. We inspect, test and securely pack every item to ensure that we do everything possible to make sure you get your merchandise in good working order. Powered by Solid Commerce The All-in-One Listing, Inventory & Order Management Solution. The item "4X6 Stock Glass Lens / Metal Headlight 6000k 6k LED HID Light Bulb Headlamp Set" is in sale since Sunday, October 15, 2017. 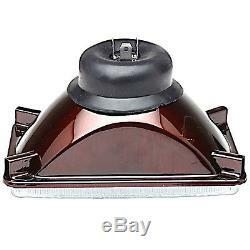 This item is in the category "eBay Motors\Parts & Accessories\Vintage Car & Truck Parts\Lighting & Lamps\Headlights".